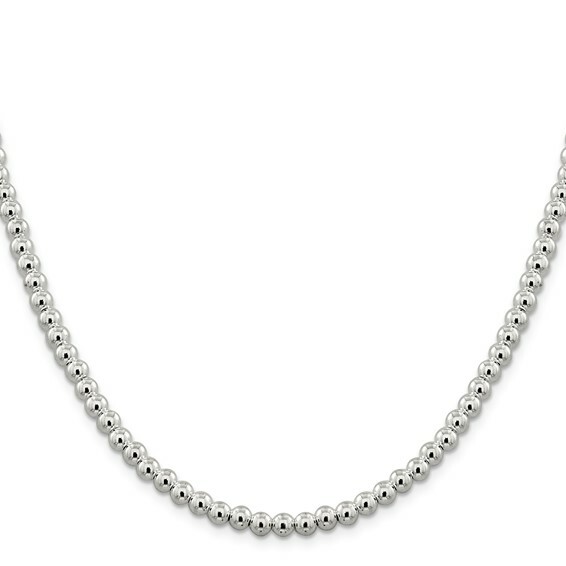 Hollow, polished sterling silver beaded box chain. Weight: 20.5 grams. Lobster clasp. Made in Italy.